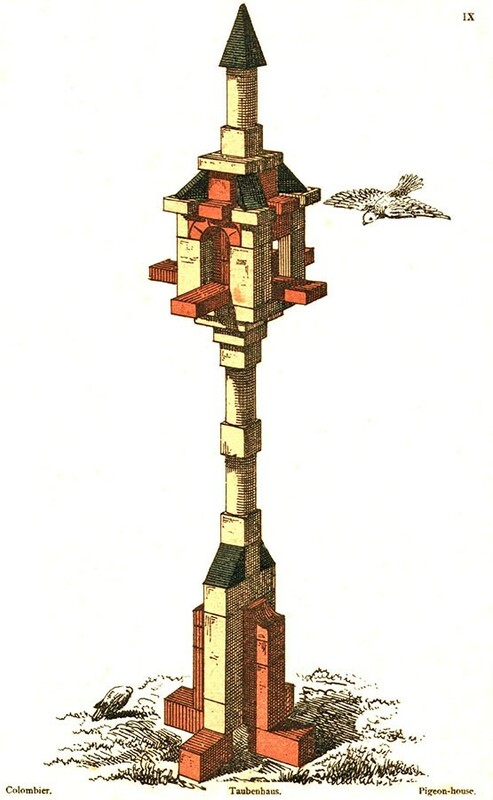 Dovecote or bird house plan with elevation and sectional drawings. 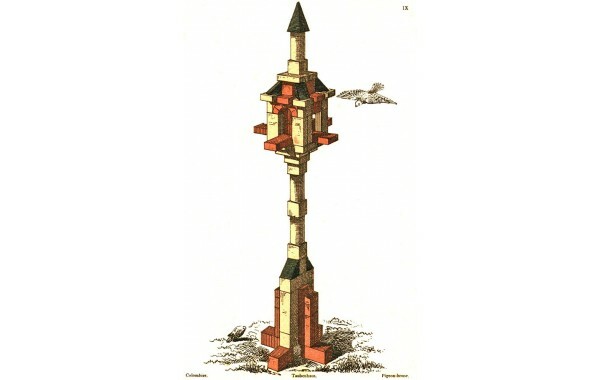 The model is an original from Gustav Lilienthal, the inventor of Anchor Stones. Build in the order indicated on the sectional diagram.